The later version of the YHC-1B fitted with T55-L-7 turbines. 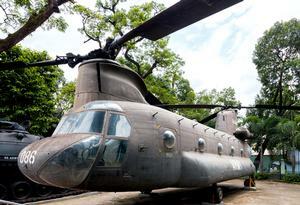 Military CH-47As were built around the box-like cabin, which was specified to hold 33 to 44 combat-ready troops. Alternately, 24 casualties on litters (and two medical attendants) could be carried, or bulk cargo of roughly 9,525 kg (21,000 lbs). The lower portion of the cabin was sealed, forming a water-tight compartment that enabled amphibious operation. The landing gear track provided is for the rear wheel pair. Landing gear track for the front wheels is 3.2m (10 ft 6 in). With the forward rotor rotating counter-clockwise and the aft rotor rotating clockwise, CH-47A models had a rotor diameter of just over 18m (59' 1.25"). 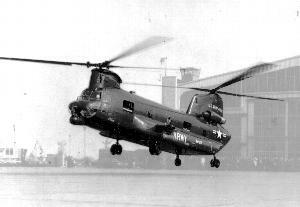 Later Chinooks fielded composite blades with 60' diameters. 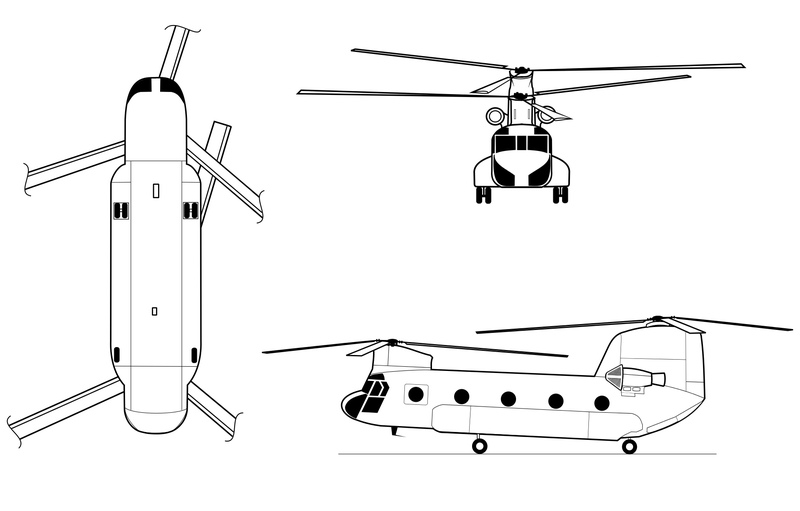 Resources related to the CH-47A Chinook, provided by the Vertical Flight Society. 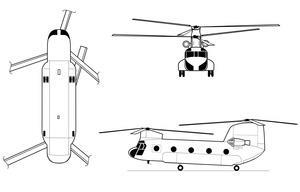 Resources related to the CH-47A Chinook, provided by public sources across the internet.